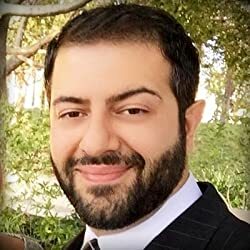 A.C. Hachem is a science fiction author & blogger from Los Angeles, CA, whose debut sci-fi novel, "Dawn of Legaia" is now available. Book One of The Legaia Series is about a young scientist's journey, and Legaia, the world's first orbiting space colony. Fans of near-future, cyberpunky, coming-of-age stories featuring humans and robots alike, should definitely look into The Legaia Series. When A.C.'s not busy with his own work, he enjoys So Cal sun, coffee houses, craft beer, devouring SFF movies, videogames, and MTG. Please enter your email address and click the Follow button to follow A.C. Hachem!